With an all-over print that matches any color jacket, the Team Druck Pant is perfect for ladies who want to be seen on the slopes. Sportalm thoughtfully added boot gaiters to each leg, which helps create a barrier between your boot and pant to keep snow out. A slim fit and thin lining won't leave you feeling weighed down, two hand pockets allow you to stash items for easy reach. 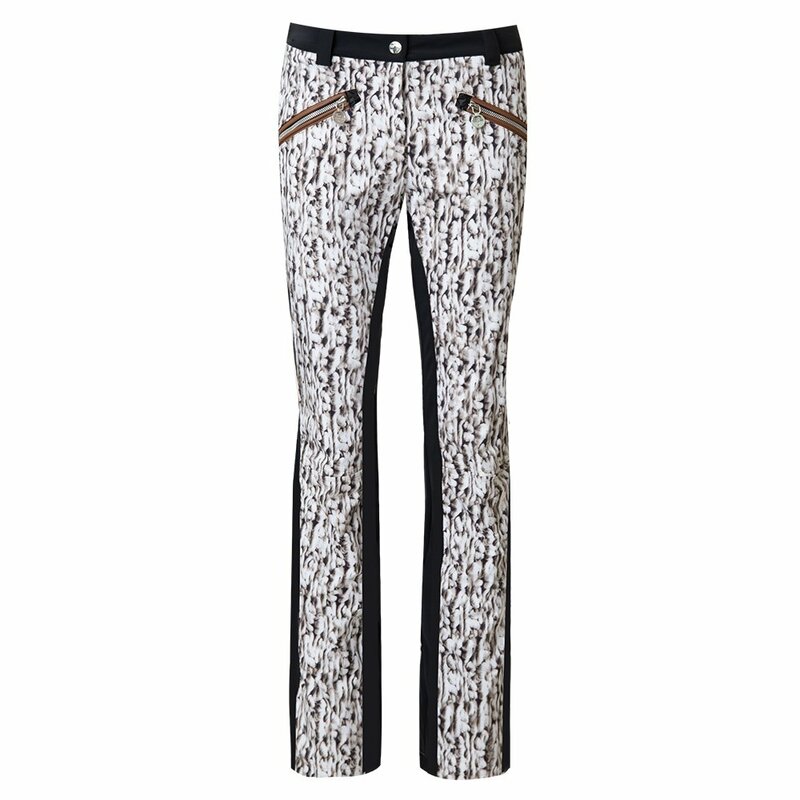 The Team Druck Pant has a feminine fit that hugs a skier's curves.